Recently I got back from a 7 day trip to Portugal with my wife. I decided I'll start sharing my trips as well. Kind of a reminder from the trip because that in this era we're not printing photos anymore and what you have left from a trip is a Dropbox folder full of photos no one will ever see again. For the first time, I'm going to use DoAlbums for creating a digital album. It's an awesome app my friends Eyal Keren and Erez Rusovsky are developing. We landed in Lisbon, rented a car and drove straight to Sintra. Sintra is a beautiful town just an hour drive from Lisbon. It's full with romantic architecture from the 19th century, places on top of the hills with great views and alleys full of restaurants and places to drink Sangria. 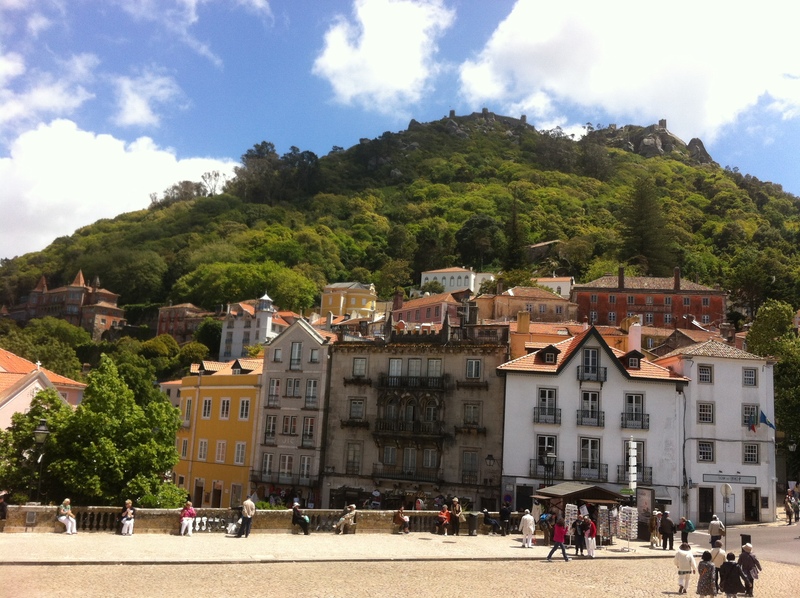 When you walk down the streets of Sintra one might feel he's walking in a ferry tale… We took a room in Oh Casa Sintra. The hosts are warm and friendly and it's a lovely place to stay. On day 2 we started heading north. Before arriving in Portugal we read about (this one's in Hebrew…) a place that we must visit. 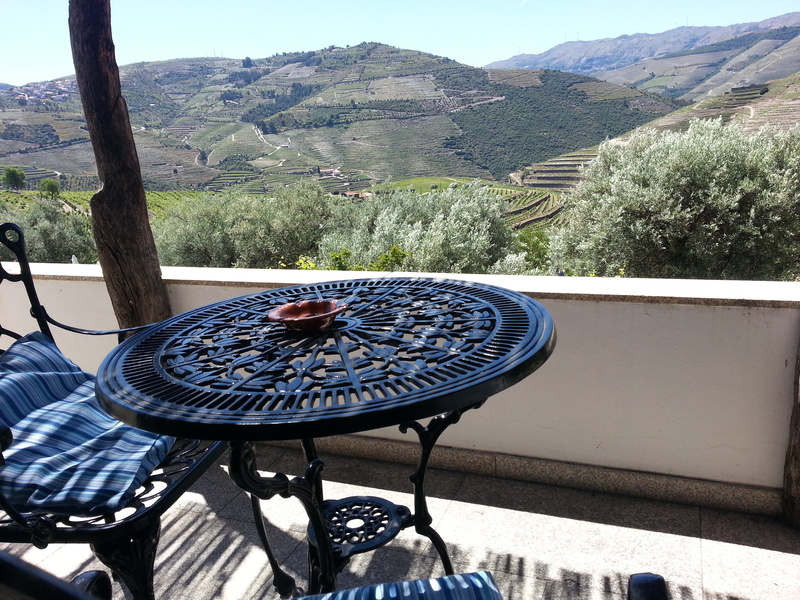 It's a small farm called Quinta de Cadafaz. It's a few minutes drive from a small village called Arganil. It's in the middle of nowhere. Only forest around you. You hear only birdsong and the sound of a stream nearby. It's so quiet you hear your own ear buzz… If you're visiting Portugal you shouldn't miss this place. The host, Sebastiaan, has an interesting life story and he'll tell you all about it over a homemade, delicious dinner and a bottle of a Vino Tinto (red wine in Portuguese :). We arrived at Porto in the afternoon. We found an apartment with Go2Oporto. It's right in the center of Porto. It's really nice, decent and clean. 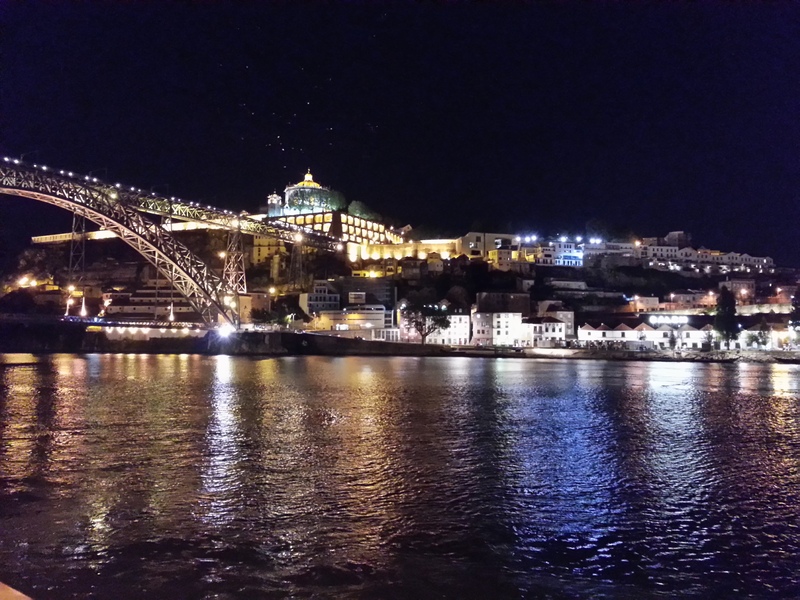 In the next day we walked the streets of Porto and enjoyed the city very much. It's one of the oldest cities in Europe. It's at the Douro river estuary. The Douro river splits Porto to the Porto city and Vila Nova de Gaia. On both sides of the river you'll find good places to eat and on the Vila Nova de Gaia side you'll find a lot of places to taste wine. Especially Port wine which is one of Portugal's most famous export. 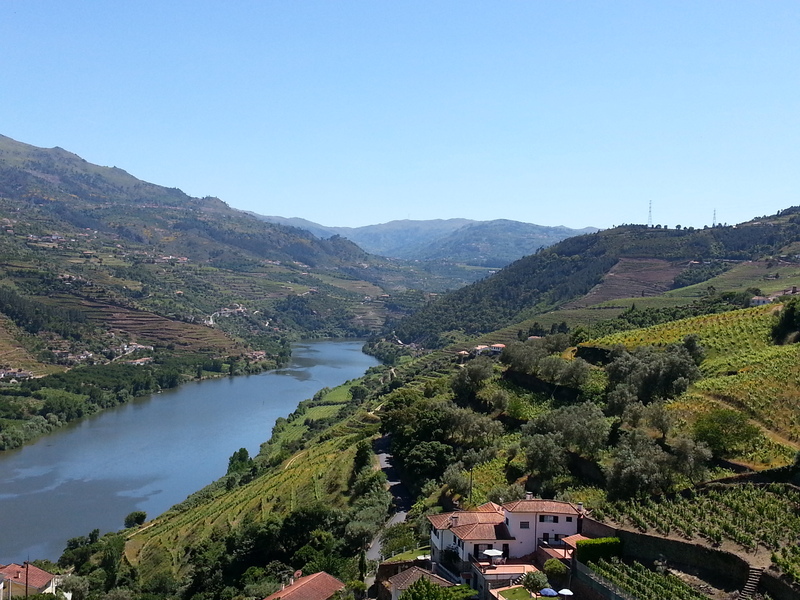 From Porto, we started heading east along the Douro river. 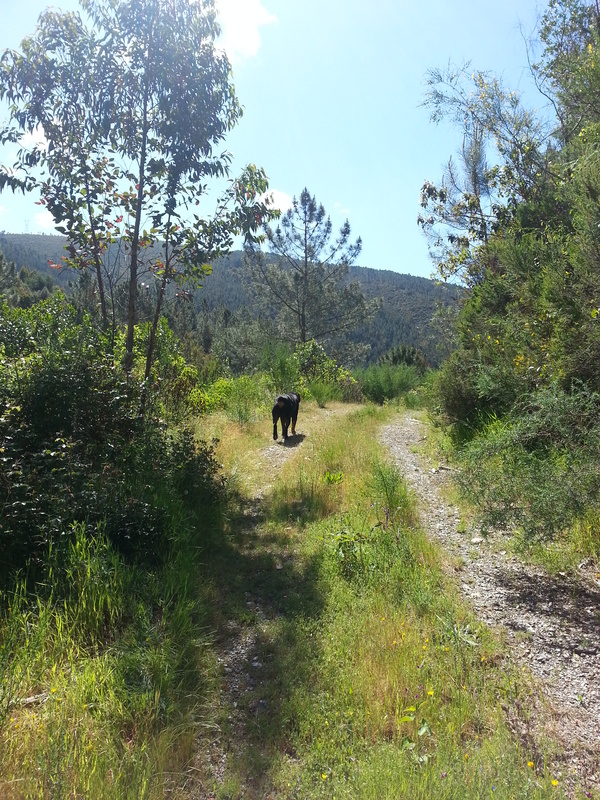 It's a magical area, filled with wineries (they call them Quinta) and beautiful scenery. It's just a heaven. If you're in Portugal, you must go there and drink gallons of wine. It's one of the oldest places for making wine and it entered the Unesco world heritage list in 2001. 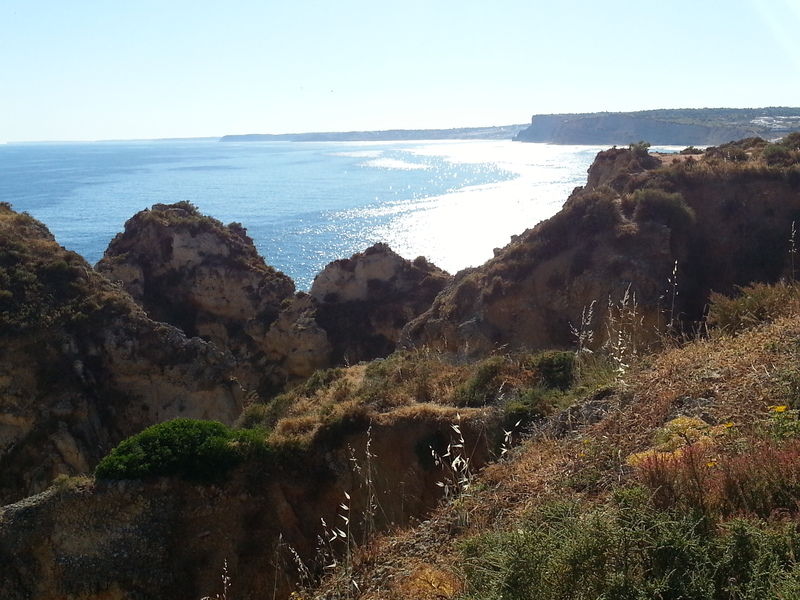 On the 6th day we mainly drove south, towards Lisbon. We passed through a town called Aviero and continued south on the road near the ocean. 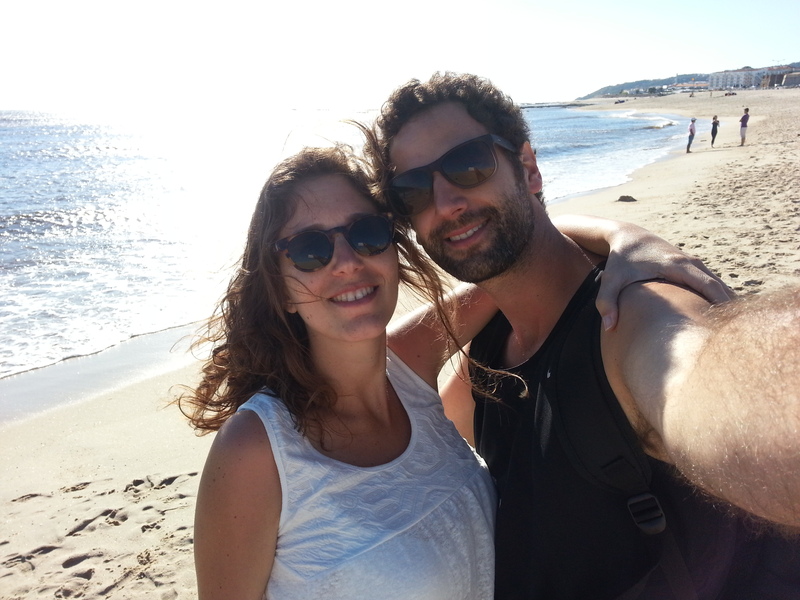 We made a quick stop at Figueira da Foz which is a small, touristic town by the ocean. We went there only because I had a huge craving for putting my feet in the ocean… I live near the sea but still the ocean has its effect on me. It's kind of endless and mysterious. The beaches in Portugal are strange. From the coastline, you have to walk a long distance until you reach the water. I guess it's good because they're not building "on the water" and ruining their beaches. In the evening we arrived at Lisbon. We found a place to stay through Airbnb. An awesome apartment in the Baixa district which is the heart of Lisbon. Lisbon is pretty different from how we experienced Portugal till then. Within just a 5 minutes walk in the streets of Lisbon I was approached a few times by drug dealers and people who tried to hook me up with prostitutes… We planned to tour Lisbon in the next day but pretty soon we made a decision to pass on Lisbon and drive 270km to the south of Portugal and see its amazing beaches. So, we bought a few Pastel de Nata, which is a local, very delicious pastry, and we headed south. Portugal was blessed with some of the most beautiful beaches in Europe. While seeing these amazing beaches, we knew we made the right decision to pass on Lisbon and continue with Portugal's nature. For the beaches trip we used a list we found on TripAdvisor – top 10 beaches in Portugal. 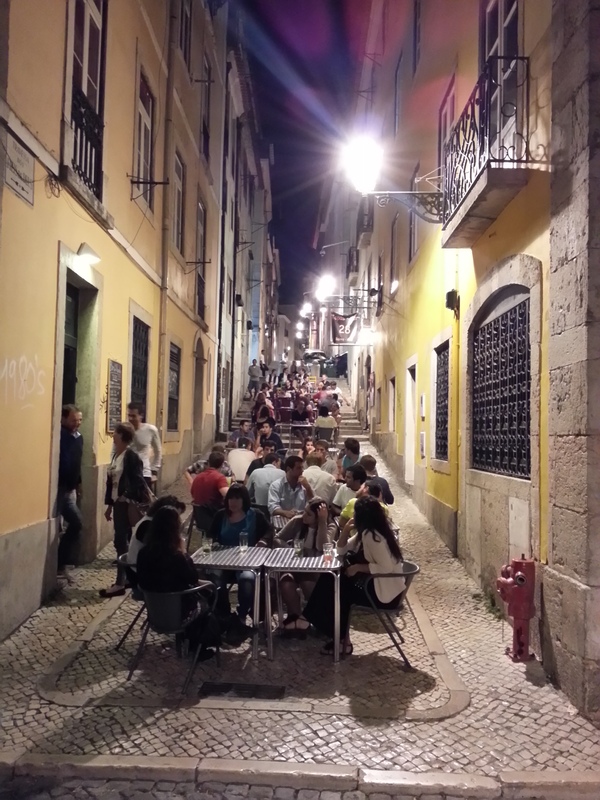 In the evening we got back to Lisbon and did get the chance to experience the city. It seems like a lovely city and I hope that one day I'll have more time to explore Lisbon. Anyway, we did enjoy from it in the short period we were there. Portugal sounded like a nice place to travel to but we haven't heard about people who went there thus we didn't have high expectations. But it turned out to be one of the best places to travel at in Europe. The weather is perfect, the people are warm and welcoming, the food is awesome and the country is just beautiful. And of course there's the wine thing :). Oh, and another important thing. It's quite cheap to travel there. So just go. I would love to hear your feedback in the comments or if you have any questions.